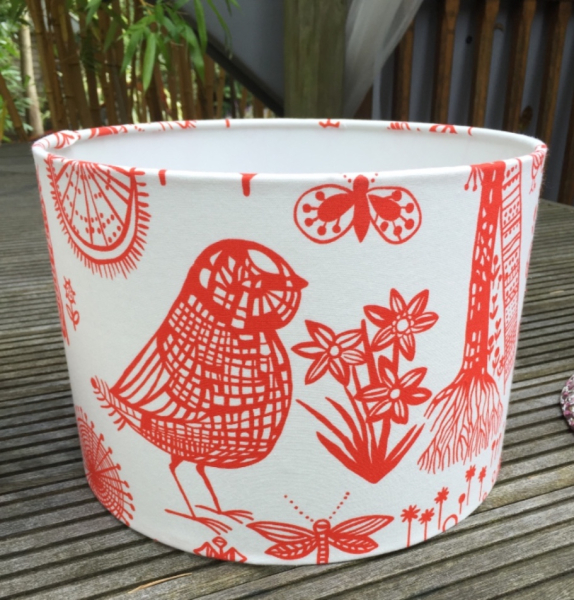 Drum Lampshades in various sizes, both standard and pendant can be made to order in fabric of your choice with or without a matching cushion. Please email me with your enquiry / order. Below are those I have available now, more to follow. Please contact me if you wish to make a purchase. 30cm diameter, pendant lampshade, handmade in Osborne & Little 'Cocos' fabric. Max 60w bulb. £35 + postage Matching cushions available. 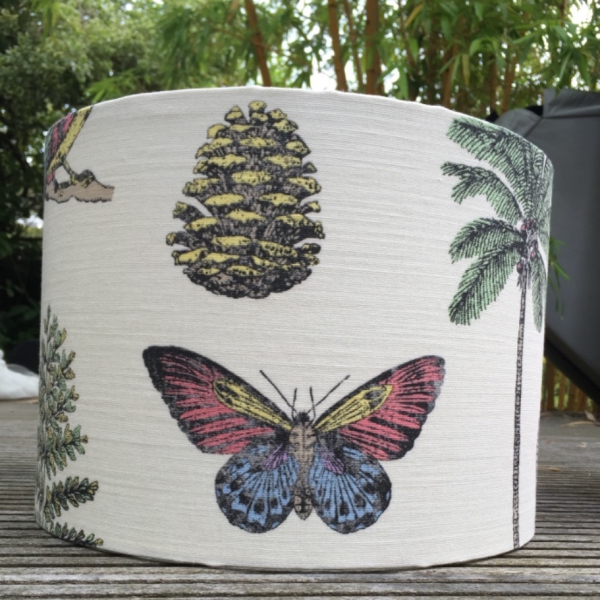 30cm standard drum lampshade, hand finished in Designers Guild Boqueria fabric. Max 60w bulb £35 + postage Matching cushion available. A selection of cushions available prices from £35 + postage. Please contact me if you are interested in any of the lampshades or cushions or if you would like any made just for you. Click here to email me.